Rwanda Civil Society Platform (RCSP) was created as a non-profit making umbrella organization in 2004 with an objective to set up a plat-form for information sharing and consultation between CSOs and their partners.The Rwanda Civil Society Platform is composed of 9 national umbrellas with nearly 1500 member organizations.RCSP serves to enhance CSOs to contribute to the well-being of the population by acting as a framework for dialogue, context analysis, exchange of information, mutual respect, lobbying and evidence based advocacy on national, regional and international issues on behalf of all members of Rwanda civil society and citizens of Rwanda at large. Its mission is to empower, represent, coordinate and defend public interests and interest of its members at national, regional and international levels for development, effectiveness and sustainability. Rwanda Civil Society Platform with the support of Norwegian People’s Aid (NPA ) through the Public Policy Information Monitoring and Advocacy (PPIMA III) project and in line with its core business of advocating for the issues that hinder the socioeconomic development of Rwandans.Through consultations of PPIMA project partners who conduct Community Score Card (CSC) process, RCSP is concerned by the issue of land expropriation and transfer process in Rwanda particularly as an issue that may affect the socioeconomic development of individuals and the national development in general. In this perspective, the Rwanda Civil Society Platform commissioned a study on analysis of land expropriation and transfer process in Rwanda as an issue that is frequently raised by expropriated households and those experienced land transfers, thus it requires a special attention to all expropriating entities including the central and local government, the private sector and civil society are called to join efforts and address not only issues observed in expropriation and land transfer but all the issues that hinder the socioeconomic welfare of the population. Since 2016 and 2017,RCSP and PPIMA project implementersreceived a large number of land expropriation and transfers related complaints from citizens through community score card, it is in that framework, RCSP conducted an in-depth research to carry out an evidence based advocacy. In this regard, the Rwanda Civil Society Platform is organizing a Public Policy dialogue as a space for interaction and discussions on the issues highlighted in the process of expropriation and land transfer among different stakeholders including the government, development partners, private sector, the Civil Society and citizens for better solutions to address the issues observed and therefore, propose policy actions. Thus, public policy national dialogue is an annual event falling in the mission of advocating for issues that hinder the socioeconomic well-being of the population. Furthermore, the Public Policy Dialogue is an opportunity to share the findings between the Government, different development actors, stakeholders, Civil Society and citizens themselves and find together sustainable solutions to the bottlenecks highlighted in the land expropriation and transfer process. The overall objective of the dialogue is to provide a face to face interaction and a space for dialogue between various actors for discussing the issues observed in the land expropriation and transfer process for them to take adequate measures. 1. Provide space for citizens to present issues encountered in the land expropriation process and suggest alternative solutions to decision makers and other stakeholders. 2. Provide space for citizens to present issues relating to land transfers and suggest alternative solutions to decision makers and other stakeholders. 3. Solicit the commitment of decision makers towards resolving the issues highlighted in the land expropriation and transfer process. 4. Call up on different stakeholders including government and private sector to jointly take corrective measures in order to conduct expropriation projects for the public interest while considering the continuous welfare of the citizens to be expropriated. 3. Commitment of all stakeholders towards advocating and executing recommended policy actions as formulated from the bottlenecks identified in a bid to promote a citizen centered framework in the land expropriation and transfer process. The Civil Society public policy national dialogue is targeting high officials representing ministries and other Government institutions,Civil Society Organizations (both national and international),Embassies, Development partners, local authorities (all districts), academia and ordinary citizens. 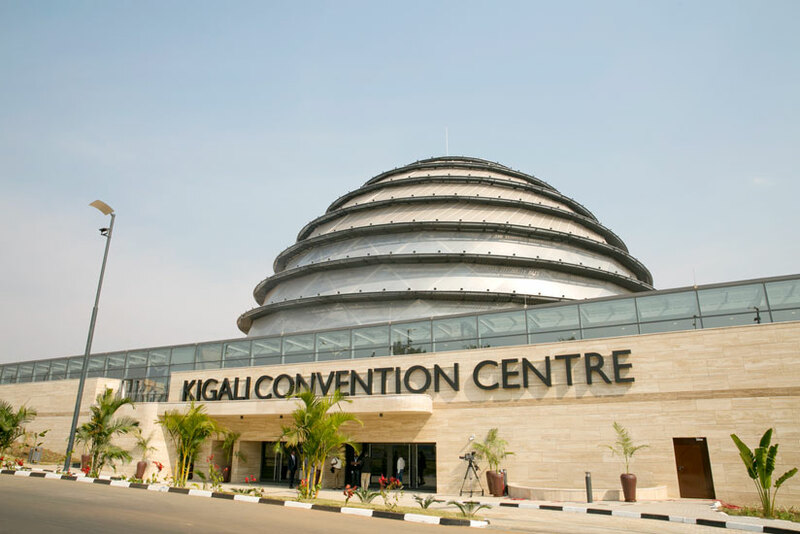 English, Kinyarwanda and French will be used with a simultaneous interpretation . The Civil Society public policy national dialogue on the land expropriation and transfer process in Rwandawill be held on30th November, 2017 at Kigali Convention Centre (KCC)from 8: 00AM to 4: 00 PM. LIST OF INVITEES TO THE CIVIL SOCIETY PUBLIC POLICY DIALOGUE. The mission of RCSP is to represent its members in the processes of facilitating citizen’s participation in sustainable development efforts through constructive dialogue, debate and advocacy at the national and the international levels. @RCSPRwanda This is an example of a tweet from RCSP Rwanda. @RCSPRwanda This is an other example of a tweet from RCSP Rwanda. Copyright © 2019. Rwanda Civil Society Platform. All Rights Reserved.